Schrader’s ‘Exorcist’ finally sees daylight - Filmmaker was fired and replaced by Renny Harlin who made a very different film. 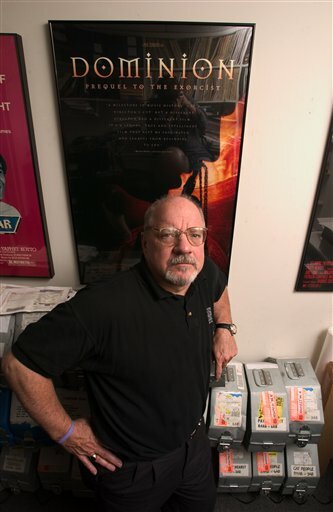 Director and screenwriter Paul Schrader is photographed in his New York office May 17, 2005, with a poster for his film "Dominion Prequel to the Exorcist." NEW YORK - When your movie is shelved and you’re fired, even the people closest to you assume your film was wretched. So Paul Schrader just wanted it seen. Timing aside, Schrader’s just glad the movie’s getting released. It was deemed too cerebral and scare-free by the production company, Morgan Creek, which brought in Renny Harlin to do some reshoots. By the time Harlin was done, he had remade the movie, and Schrader’s finished product was put in the can — to stay. “There’s nothing good about being fired, and vilified, and worked over with a tar brush. So that my feeling now is not so much revenge or vindication as it is relief,” Schrader told The Associated Press in an interview at his Times Square offices. “If you’ve made an expensive film ($35 million) that has been thrown away and described as so badly made that it can’t be released, you can convince no one — not your wife, not your best friend — that it was any good. So the assumption is that it was just a piece of crap. And then you have to spend the rest of your life trying to explain that maybe it was good, as people look at you with their disbelieving eyes and imagine you in all sorts of denial. And his wife, best friend and everyone else can see for themselves. The two prequels can serve as a ready-made seminar for film schools, too. “It is the easiest term paper imaginable: Compare and contrast. ... More likely the professor will say you can do a term paper on anything BUT the two “Exorcists,” Schrader said, laughing. The similarities include the same settings (East Africa); same general premise (how a young Father Merrin lost his faith and first encountered Satan); same star (Stellan Skarsgård); two of the same credited screenwriters (William Wisher and Caleb Carr, although Alexi Hawley did some heavy rewriting for Harlin); same cinematographer (Vittorio Storaro, a three-time Oscar winner for “The Last Emperor,” “Reds” and “Apocalypse Now”); and several of the same supporting players. But as any filmgoer familiar with their work might expect, the final products from Harlin and Schrader are quite different. Harlin’s metier is horror and action; Schrader’s the tortured souls of troubled men. Both “Exorcist” prequels begin in the 1940s, and show a pivotal scene in which Nazis try to force Father Merrin (Skarsgard as a much younger version of the Max von Sydow character in the original) to pick 10 people in his town to be executed. Merrin refuses, and his indecision is met with a summary execution of a capriciously chosen victim — a young woman in Schrader’s version, a cute little girl in Harlin’s version. Demure Clara Bellar plays Merrin’s doctor-friend in Schrader’s movie; hot Bond girl Izabella Scorupco (“GoldenEye”) in Harlin’s (where she swigs booze and wears a towel). A sickly young man is possessed in Schrader’s rendition; the hot Bond girl in Harlin’s (and what comes out of her mouth, while not “pea-soup” vomit, would challenge Linda Blair’s Regan in a World Champion Foul Mouth competition). Harlin’s movie — made for about $55 million — was savaged by most critics, and took in about $42 million in domestic box office. “The Exorcist,” directed by William Friedkin and written by William Peter Blatty based on his own novel, became a modern classic. It collected 10 Academy Award nominations, including best picture, and won for best adapted screenplay and sound. It told the story of an adolescent girl apparently possessed by the devil, and two priests trying to exorcise the demon — young Father Karras (played by the late Pulitzer Prize-winning playwright Jason Miller, the father of actor Jason Patric) and aging Father Merrin, who encountered evil years earlier in Africa — which offered the faint sketch for a prequel. But every attempt at a follow-up has seemed cursed. Two sequels — “Exorcist II: The Heretic” in 1977 with Richard Burton, and “The Exorcist III” in 1990 with George C. Scott — spun no one’s head. Then bad things happened when Morgan Creek decided to make a prequel after a director’s cut of the original pulled in almost $40 million — fat box office for a re-release. Director John Frankenheimer left the project and died shortly afterward. Star Liam Neeson quit. 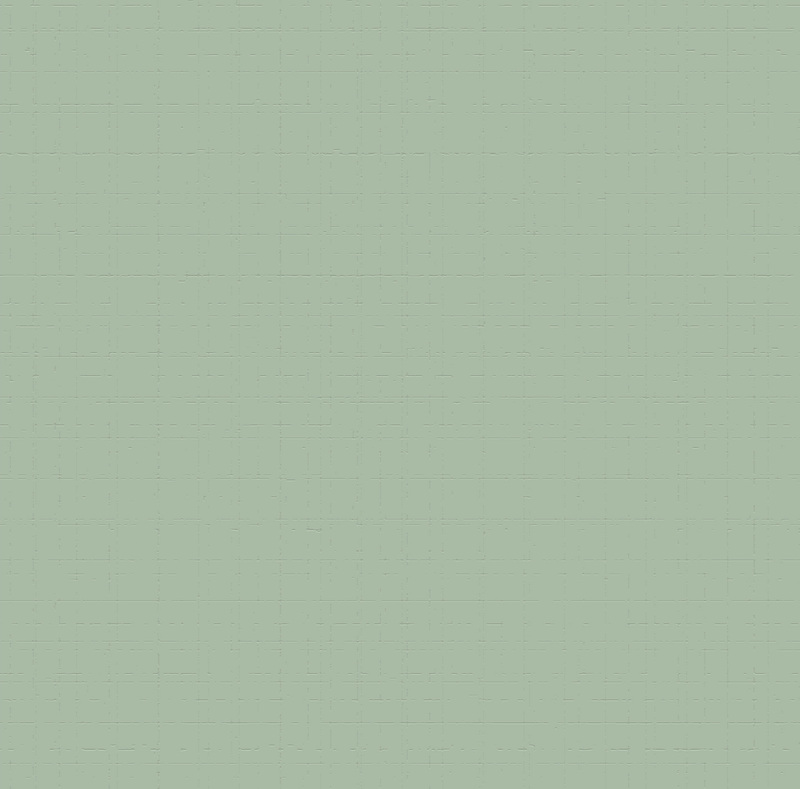 That’s where Schrader and Skarsgård came in. “The train had left the station,” said Schrader, recalling that just about everything — script, financing, cast, locations — was set. “And I loved the fact that it was going to get made in a second. For someone who spends years and years trying to get films financed, to hear that ‘We’re going to be shooting in three months’ is a powerful enticement. Brian Robinson, senior vice president for worldwide marketing at Morgan Creek, did not return calls or e-mails. Harlin also didn’t respond to attempts to contact him. But in an AP interview last year he acknowledged being wary of an “Exorcist” prequel/sequel curse. “It’s not very funny, if you think about it. I believe in it,” said the filmmaker, who was hit by a car during production and spent the remainder of the shoot on crutches nursing crushed bones held together by 14 pins. Schrader said the upside for him was that his movie was not “tarted-up or misshapen.” What we see on the screen is pretty much what he wanted us to get. “I had prepared myself for having to disown the film. It was going to be turned into some kind of two-headed cow ... But by making a second cow, actually the integrity of what I had done was preserved,” Schrader said. And as it turned out, Harlin’s version opened the window for his, he said.